Who doesn't loves the car? The car is an essential commodity these days and everyone would agree with me. Datsun is an offering by the Japanese Automaker Nissan who has promised to deliver a class vehicle. The car company has tagged Datsun Redi-Go as a unique fusion of compact crossover and urban hatchback, offering the best of both the worlds. Isn't that amazing? It is a perfect blend of the best Japanese technology. People these days want to live an exciting and live life to the fullest. Datsun with its new car offers to fulfil what people need. So Datsun came up with the car that encourages and gives a sun of freedom, fun and adds colours of joy to their life. It has got a stylish exterior that boasts of an aggressive tall boy robust stance. It's driven by an agile dynamic cabin and is compact and sleek. 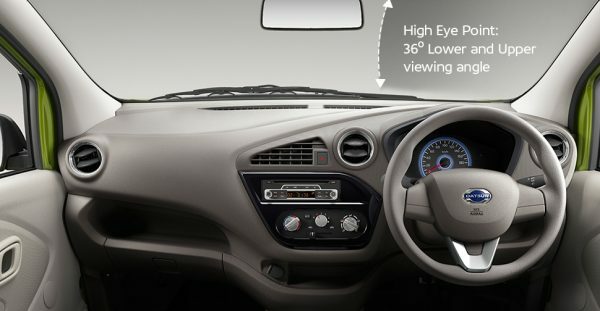 Its sidelines , stylish, sporty instrument panel gives it a premium look. 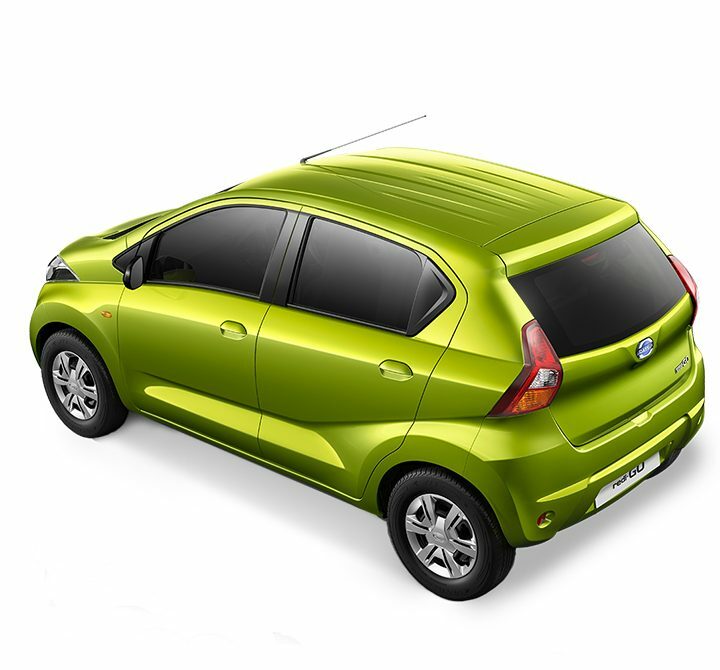 Datsun Redi-Go comes up with a great spec and exciting features. It has D-cut Grille, high stance, best in class ground clearance, head time running lamps, tail lamp design that is modern and keeps you up to the go! 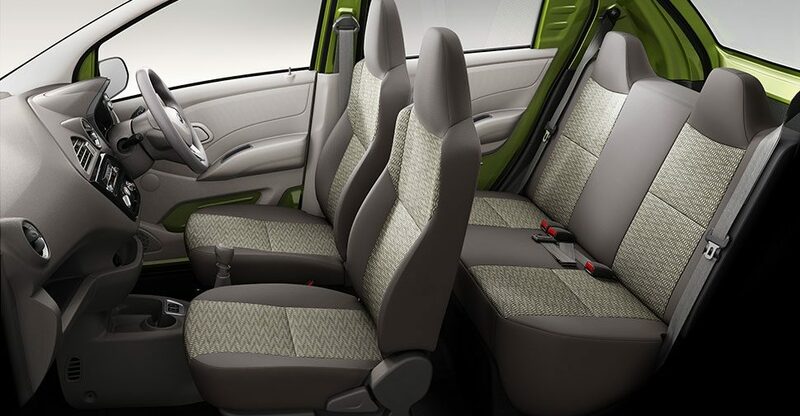 Apart from the above mentioned exterior features, it has got some spacious interior. This is one of the features that I look forward to. I belong to a big family and with a spacious interior , we can ensure that all of us fit into as a single unit. Additionally, it is said that there is enough space for the luggage as well. Along with it, it has got a rich sporty fabric whose design is inspired by sports cars. Its aim is to give a rich user experience and keep the environment lively. A lot could be said about its dashboard that sits smart in the front panel. The Entertainment Quotient EQ has been given a high importance. This Car has a quality audio system that hosts the radio, CD, MP3, USB, Aux-in. Everything bundled up so that the young generation can feel good . The joy of driving is to tread through the roads comfortably. There shouldn't be a moment where the driver feels uneasy. The comfort factor is given a very high priority. With the 5 Speed Manual Transmission, the new Datsun redi-Go gives a smooth control and the precise shift just adds what needs to be a quality drive. This is an important feature. Another feature that grabs my eyeball is the Drive Computer. So, the basic thing is that this section displays the current and the average mileage, distance to empty, fuel remaining and other key factors front of you. So it would provide you with an insight into the key things that needs utmost attention. So by now you must have realised what all could be my favourite features of this car. The interior of the car proves to be rich and spacious cars do have a special place in my heart. So likewise this car has already won my heart. A fabulous dashboard along with several exciting things bundle up to this joy! Every driver needs to have a good view of things in front of him while he is driving. 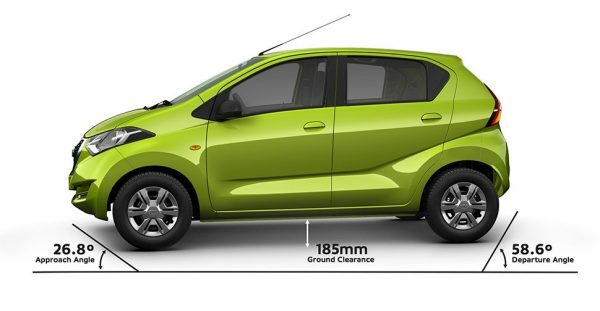 Datsun redi-Go provides a wider view of the roads and the surroundings. The viewing angles are promising and ultimately if the view is good then obviously the confidence of the driver would surge too. So this is another feature that I loved. This is another area that is considered important when it comes to the safety of the travellers. It has got a high-strength body shell to absorb impact. And moreover, it is UN94 Crash performance compliant. It is only because of these reasons that I would like to drive and test this car. Well, I love driving and I avoid driving on crowded streets. If given a chance, I would like to drive this car at South Mumbai. South Mumbai is few of those places that amaze me. It would be fun driving along the curve of the Marine Drives. Driving in Mumbai is itself one of the biggest challenges. I would test it for all that it offers in the form of reliability, throughput, user experience and more . I am sure it will be a beautiful experience and a treat for its drivers!